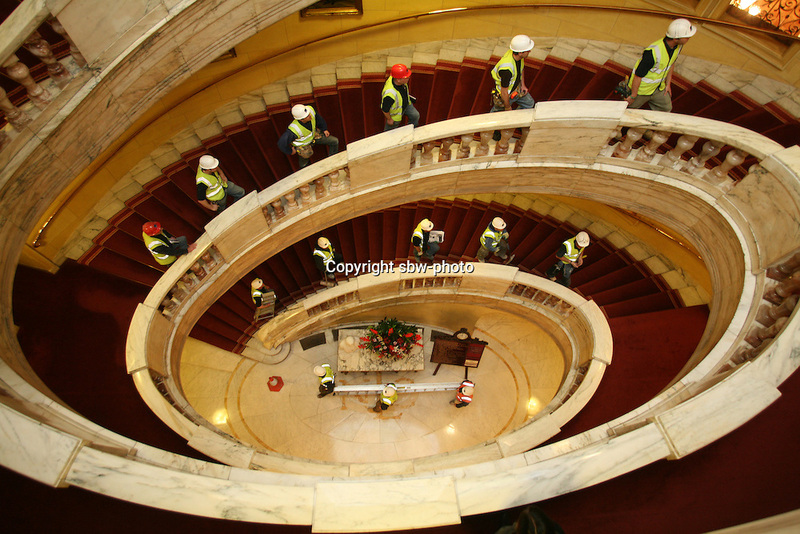 Builders on the staircase of the Royal Horseguards Hotel, Whitehall. The hotel is undergoing a £16 million refurbishment. The staircase is the largest free standing staircase in Europe.